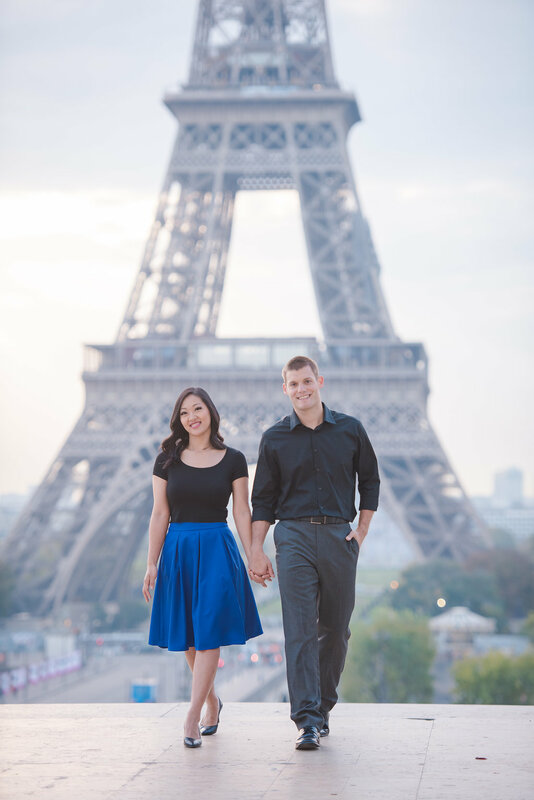 During a trip to Europe to celebrate their anniversary, Mandi & Keith wanted to mark the occasion with a photo session. 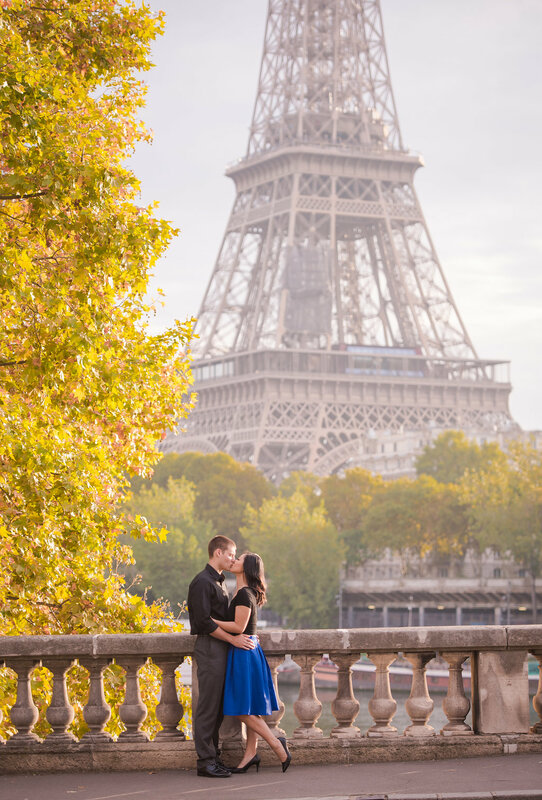 They took stunning photos in front of the Eiffel Tower at two of our favorite locations – Trocadero & Pont Bir Hakeim. 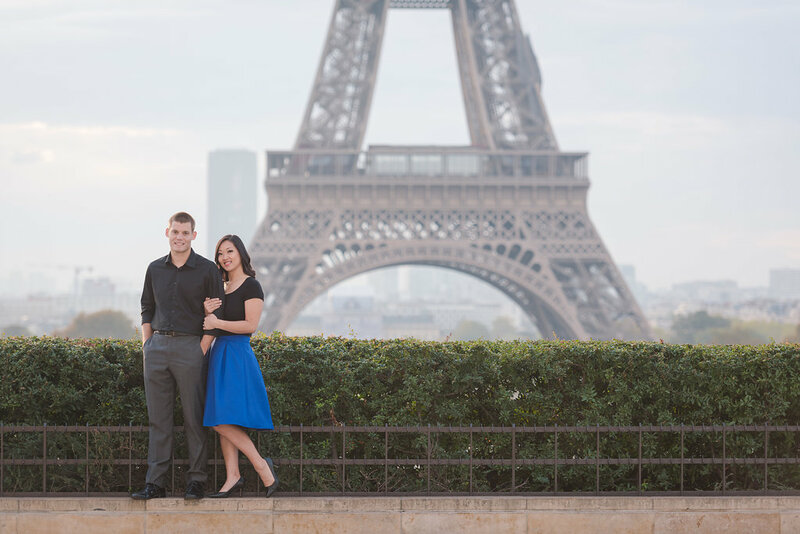 And the pop of blue from Mandi’s skirt couldn’t have been more perfect.